Deck 15 features staterooms in categories SM, SF, SP, and SG, as well as The Scene Exclusive Event Space, The Tune Up Mani-Pedi + Medi Spa, Aquatic Club Poolside Oasis, Pool and Aquatic Club Bar, Gym & Tonic Bar, Well-being Pool, B-Complex Burn + Bike Gym, B-Complex Build + Balance Gym and Balance Studio, The Galley Market-style Food Hall, and Gunbae Korean Barbeque Restaurant + Soju Bar. 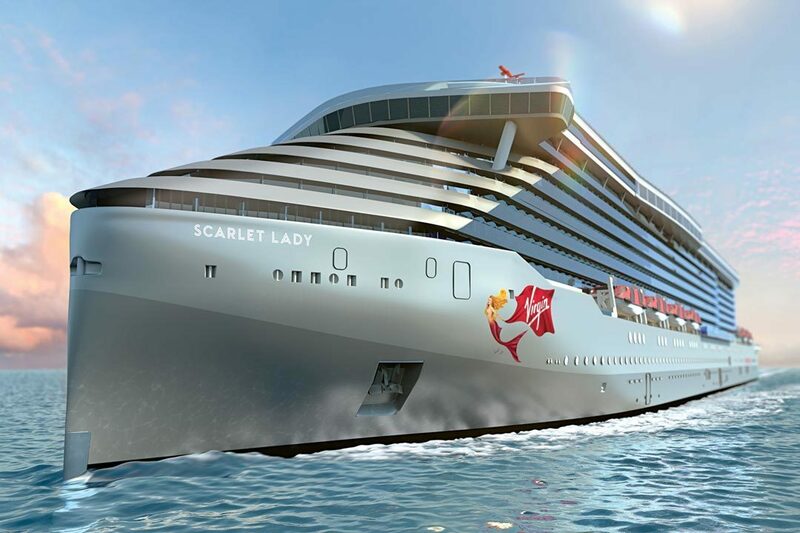 Deck 14 features staterooms in categories SB, SCB, SAB, TX, TC, TR, I1, and IN. Deck 13 features staterooms in categories SCB, SAB, TX, TC, TR, I1, and IN. Deck 12 features staterooms in categories SCB, SS, SAB, TX, TC, TR, V1, VW, I1, and IN. Deck 11 features staterooms in categories SCE, SAE, TX, TC, TR, VW, I1, and IN. Deck 10 features staterooms in categories SCE, SAE, TX, TC, TR, VW, and IN. 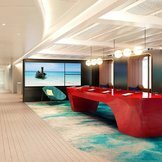 Deck 9 features staterooms in categories SCP, SAP, TX, TC, TR, V1, VW, and IN. Deck 8 features staterooms in categories SCP, SAP, TX, TC, TR, TL, and I1. 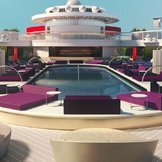 Deck 7 features the upper level of The Manor Nightclub, The Roundabout atrium, The Pizza Palace, and The Dock Outdoor Eatery + Bar & Social Lounge. 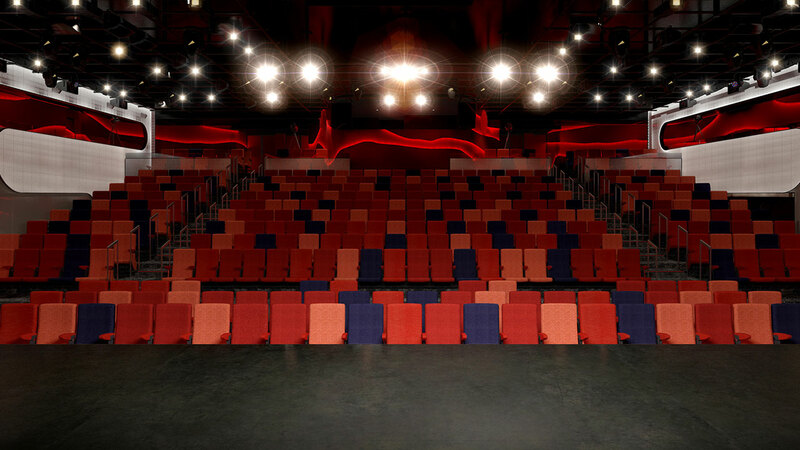 Deck 6 features The Den event space, the lower level of The Manor Nightclub, The Casino, Squid Ink, Stubble + Groom, Dry Dock, The Test Kitchen Cooking Lab/Restaurant + Experimental Bar, Extra Virgin Italian Restaurant + Wine Bar, and The Wake Steak & Seafood Restaurant + Martini Bar. 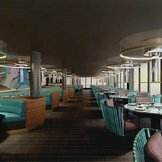 Deck 5 features staterooms in categories VW, I1, IN, and I4, as well as Redemption Spa, Sailor Services, Razzle Dazzle Vegetarian Restaurant, and Pink Agave Mexican Restaurant and Mezcal Bar.